Last week, my sister came to visit from the U.S. It was so good to spend time with her and her three girls! 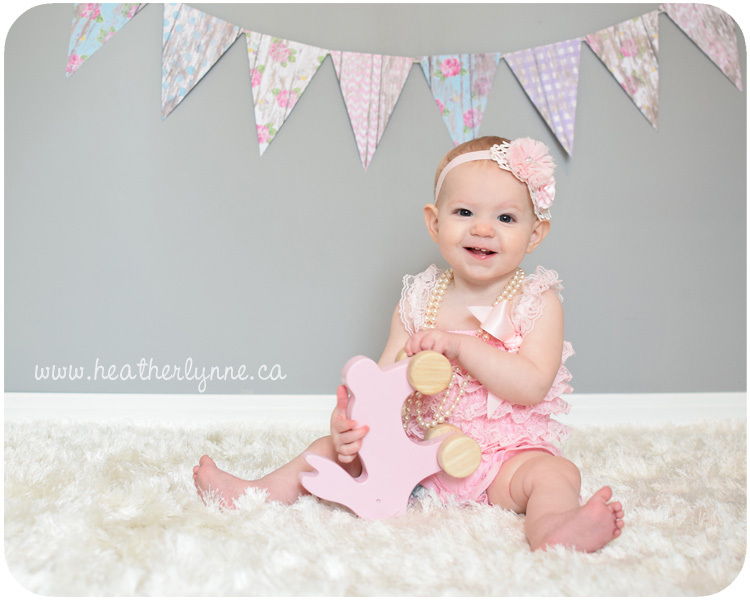 Her youngest daughter turns one year old this month (and so does my other sister's daughter), so we decided to take advantage of everyone being together and do a little cake smash photoshoot. I'm so glad we made this happen- it was so fun and I love the photos that we got from it! 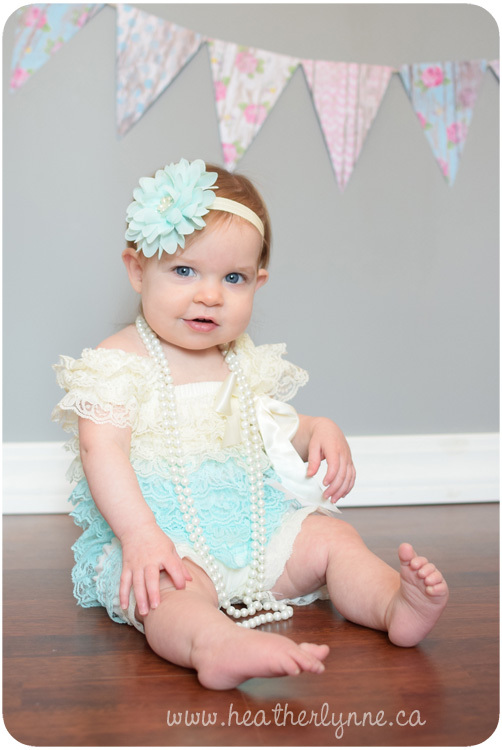 Poor little Alexis was sick and kind of miserable when we started, but you would never know it from this photo! I'm so happy we managed to capture it! 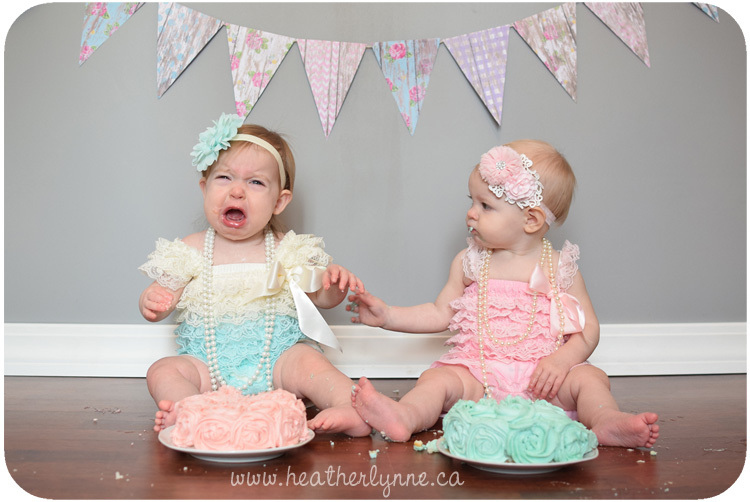 It was so much fun to take these photos with my sisters. They had prepared the day before by creating the little bunting on the wall and getting the cute outfits for the girls. 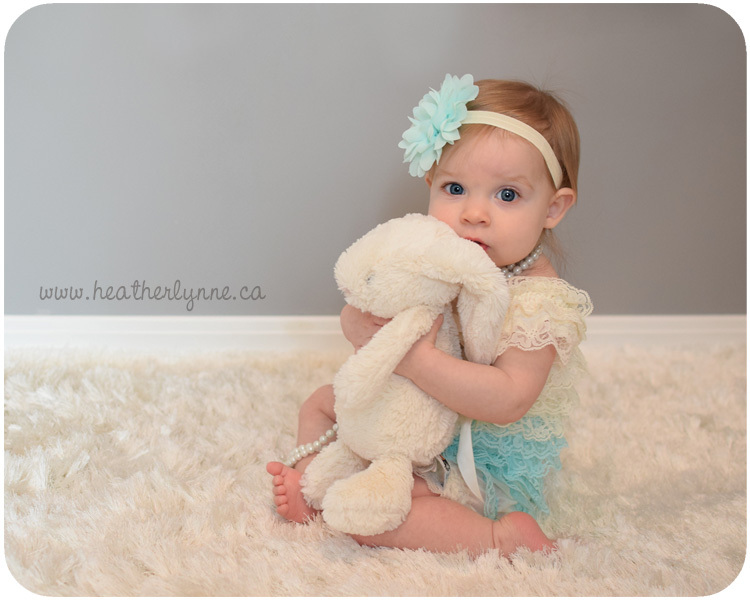 I knew they would have something cute prepared- all I had to do was show up with my camera and enjoy it! 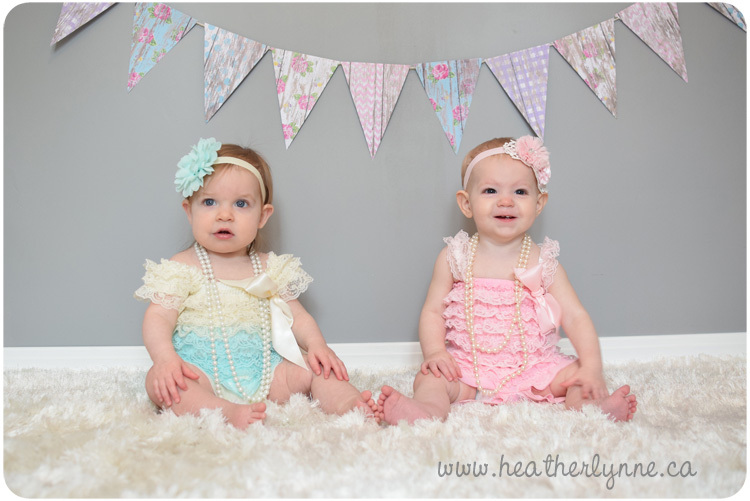 The girls' cute outfits and head bands came from a store called The Quilted Bear in Utah. 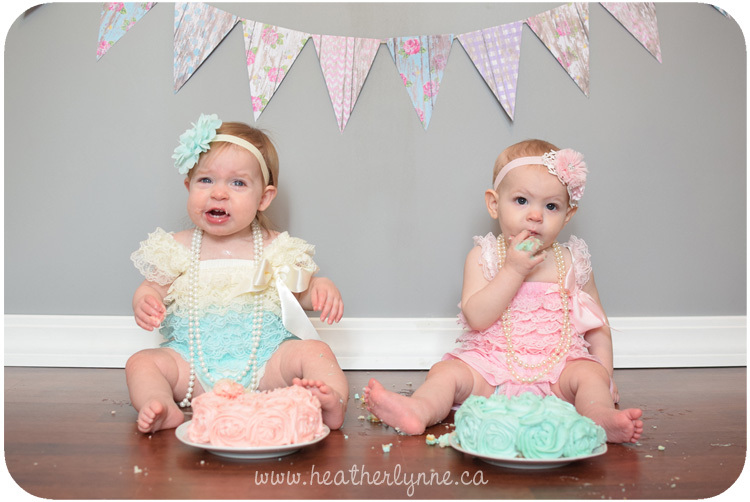 After we grabbed a few photos on the carpet, we rolled it back for the cake smash. 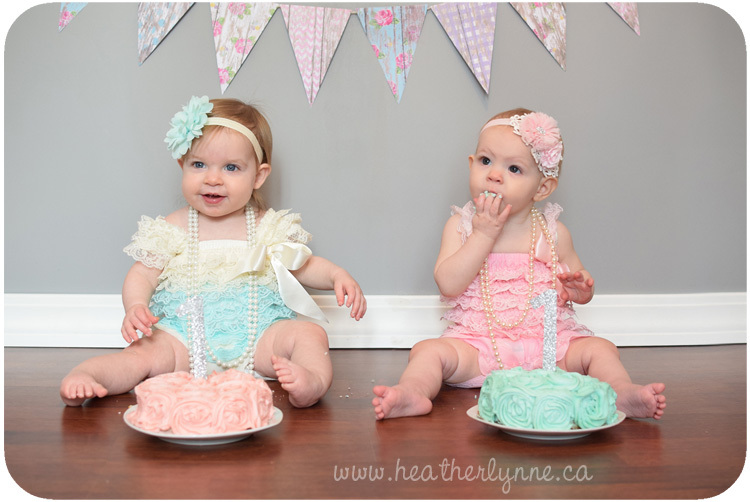 My sisters made these cute cakes the night before. I'm pretty sure I need to give that rose icing a try sometime soon- I love the effect of it! 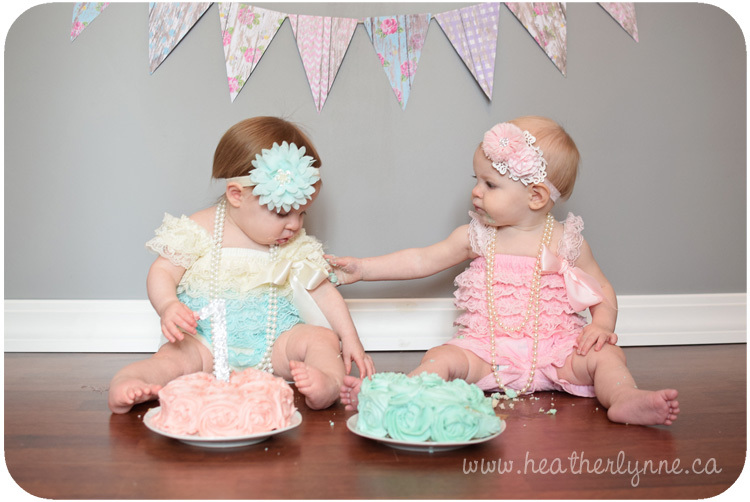 It was when Alexis started touching Tori with her cake-y hands that things started to come to an end. Tori did NOT like it! How cute! Their expressions are priceless! and captured so perfectly in these photos! Aww. Everything so cute! 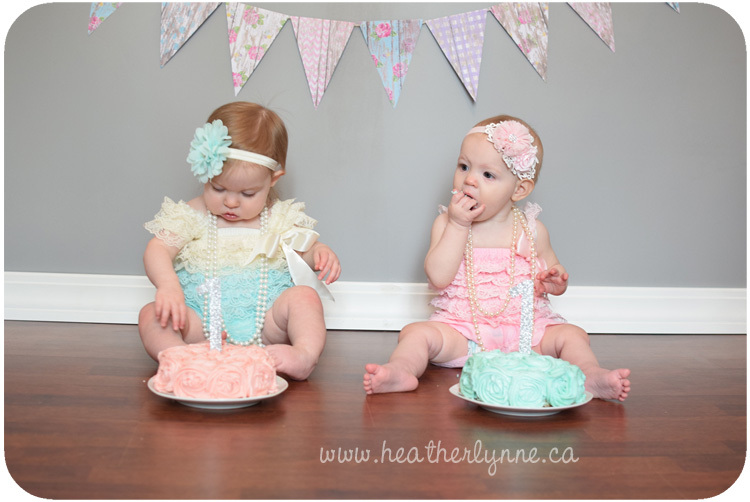 The babies, their outfits, and the cakes! 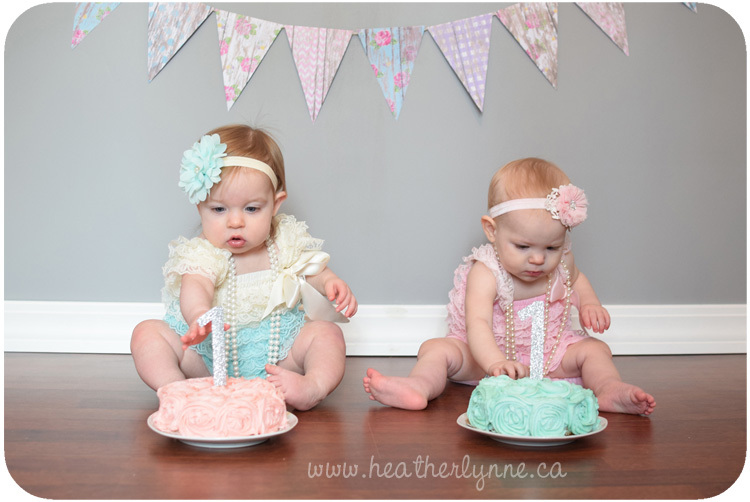 THESE PHOTOS ARE AMAZING,WHAT BEAUTIFUL CHILDREN !! I love this so much! 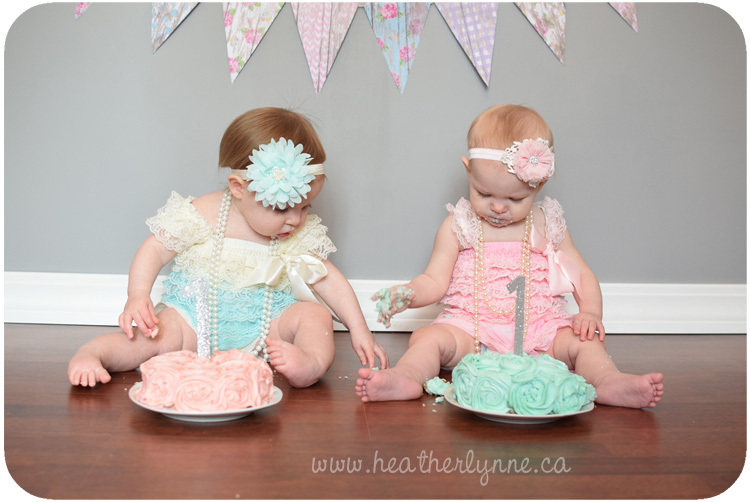 I did a cake smash for my daughters 1st birthday and the photos were to die for! I agree- wish I had with my daughters, too! Those are just adorable! I love it! And those outfits are to die for! Thanks Jennifer! 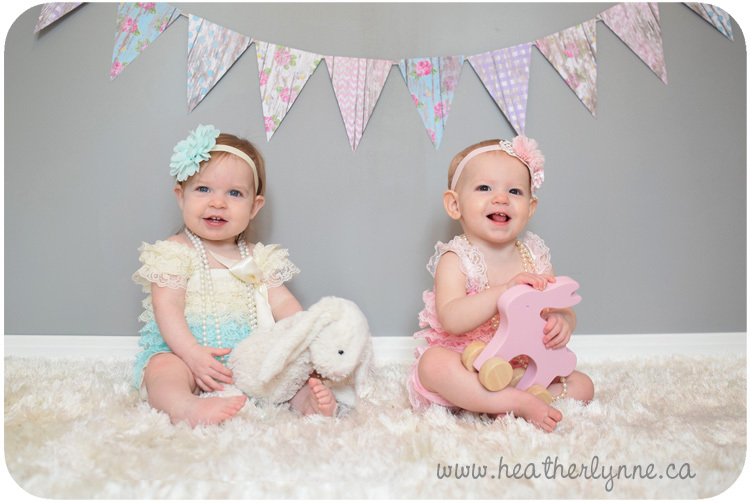 :) I totally agree ;) hehe They are cute nieces! These pictures are just too priceless! 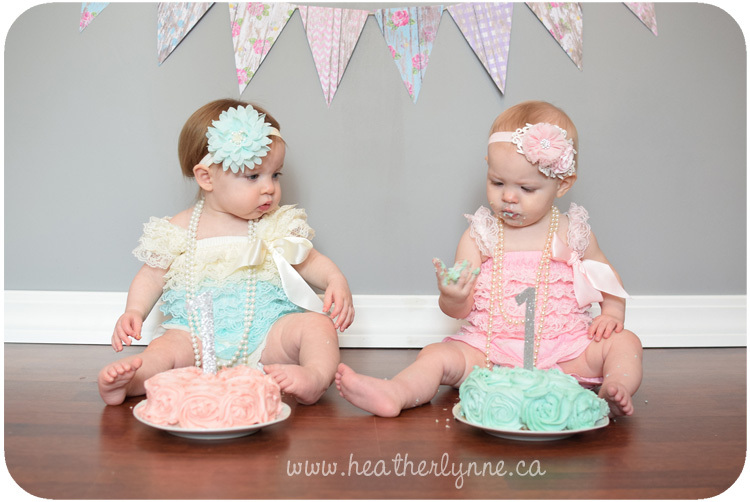 We did a 4 baby cake smash when my friends' and my sons turned 1. We have a lot of blurry shots from cell phones to show for it! Aaaw these pics are adorable!! What wonderful memories! It's well worth taking the time to do something like this, both for the fun doing it and the photos to record the event.